"Mobilize others with radical acts of generosity." As co-founder of Brothers for All, teaching former inmates technology and entrepreneurship skills, and Mothers for All, which works help AIDS orphan caregivers, Robyn has seen firsthand the power of generosity in unexpected places. 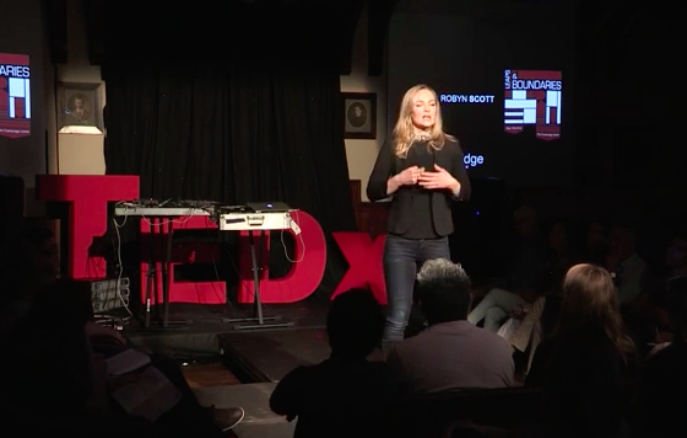 In her TEDx talk, Robyn shares the lessons she's learned working with prisoners in South Africa who have adopted AIDS orphans ~ inspiring leadership. 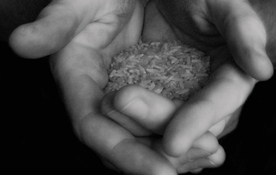 Hunger is a problem worldwide ~ this is only 3 ounces of rice. The amount a typical person with chronic hunger subsists on each day. The prisoners Robyn works with get more, but not much ~ and for months, hundreds of them voluntarily gave up their morning bread to feed orphans.